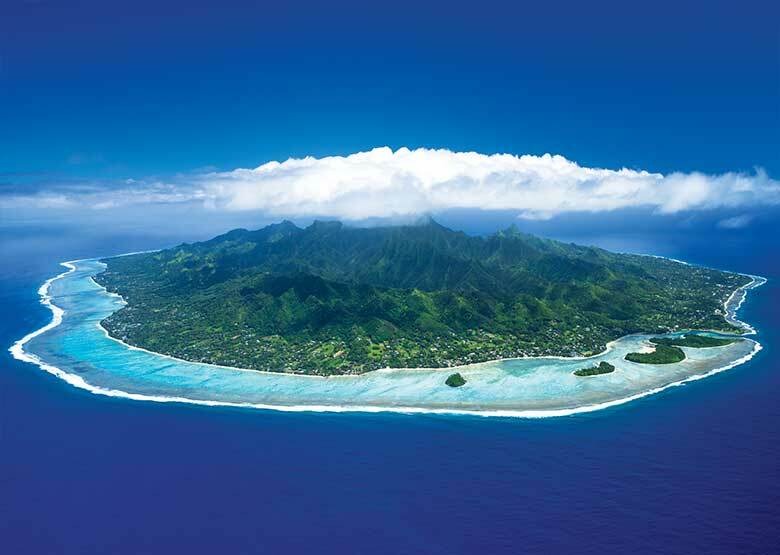 Photo Credit: David Kirkland – Aerial of the Southern and South-East coasts of Rarotonga. A must do. Relaxing and FUN. Explore and discover the magic of this big little island in just a day or two by bus, car, bike or scooter. Every inch of the 32-kilometre circumference offers plenty of beauty and wanderlust to keep a permanent smile on your face the whole way around. If you’re the independent type itching to go, we recommend you jump on a scooter. The pace is just right – not too fast you’ll miss things and not too slow to get “are we there yet” bored. 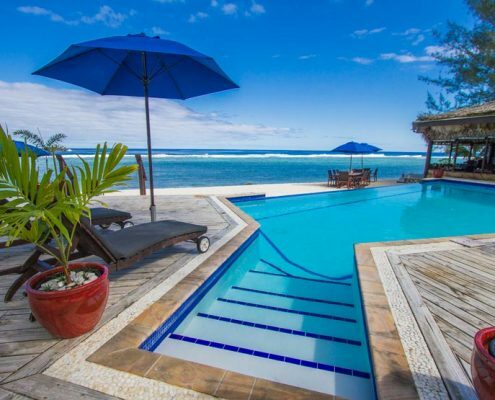 With the feeling of freedom and fresh air on your face, you’ll come to charming waterfront towns such as Avarua and fall in love with Muri lagoon and Tiki beach. This island perimeter trek is just beautiful at every turn of the road. Another great way of getting around (and an Escape Artist favourite) is by jumping on & off a local bus. There is only one main road around the perimeter of the island, so you can’t get lost with a choice of two; one goes clockwise the other anti-clockwise. Easy! 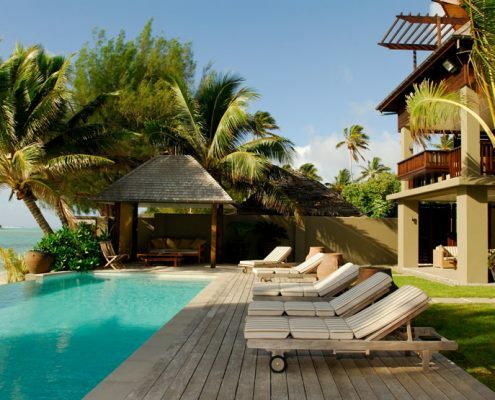 Stop wherever you like, be it a deserted beach, a café garden, the markets or one of the many boutique resorts. There’s no better way to make you feel like you’re on a super-relaxing island holiday. You can also hire a car if you like – the pluses are the flexibility of having direct access to transport 24/7. You’ll need a licence for this – from the police station or from a rental car hire place. Motorbikes are an option too, but we suggest only experienced bikers give it a go. There have been numerous accidents on the narrow roads. Please be careful. 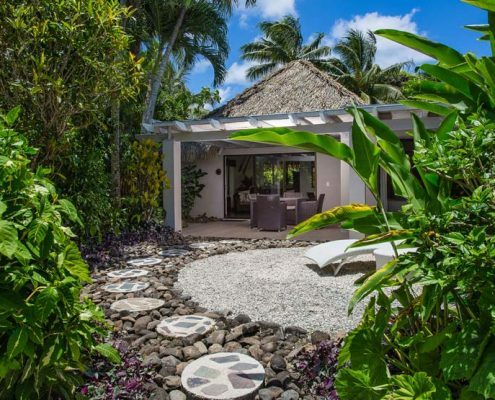 If the paradise you discover exploring the perimeter isn’t enough, you can dive into the exceptional beauty of inland Rarotonga. Plenty of adventure tour companies are at the ready to help you explore the inner island on buggies, quad bikes and 4WD. For the more environmentally conscious (which we hope you are) you can join eco cycle tours with storytelling from local guides. 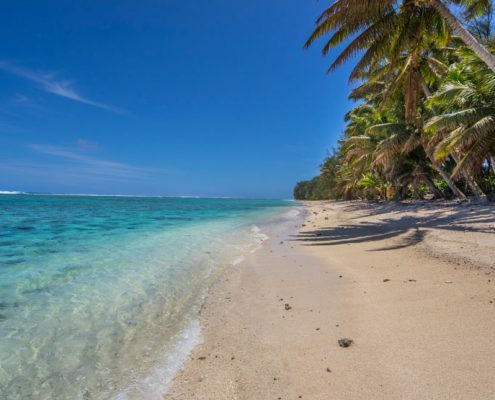 Muri Beach is one of the most beautiful regions of Rarotonga. 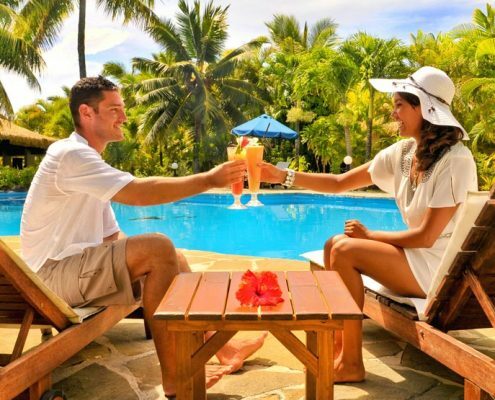 It is home to well-known resorts such as Pacific Resort Rarotonga and the luxurious Te Manava Luxury Spa & Villas. The lagoon is incredible. A must visit haven offering over two kilometres of pure white sand beach and the clearest of clear waters. It’s ideal for non-motorised watersports and other family holiday fun. What we love most about Muri Beach is its seamless blend of breathtaking natural beauty with the lively, fun atmosphere of shopping, restaurants and cafes a short distance from most Muri accommodation. The perfect mix of island holiday fun and relaxation all in the one spot. No destination can be said to be perfect for all island travellers, but Muri Beach comes close. 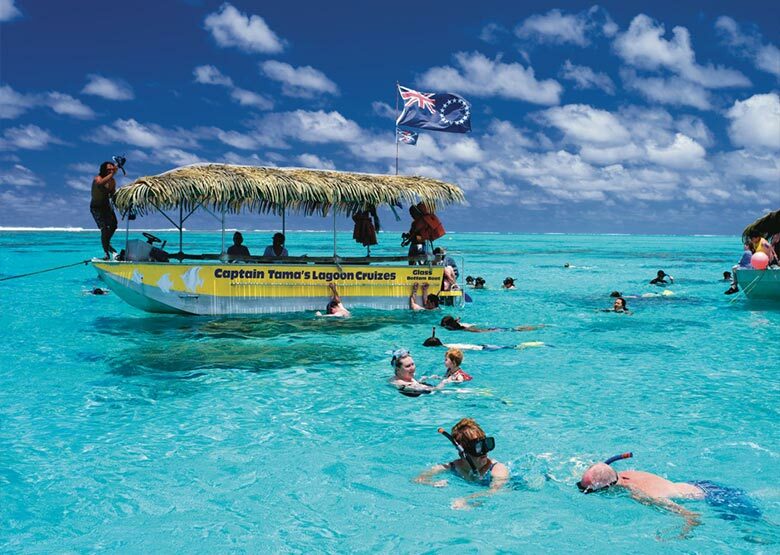 Captain Tama’s Glass Bottom Boat tour is a must do. What a fun and informative day out this is. Every time we do this tour, it’s just as entertaining as the first time. A warning it can get a little ‘silly’ crazy as the fun & hilarious Cook Islander captains do their tour guide thing. The multi-talented crew are not only great professional hosts they are all fantastic musicians, (exceptional) singers and comedians. When they introduce themselves as Captain Hey Hey, Captain Lollipop, Captain Anchor and Captain Smack Sparrow you know you’re in for fun times. Smiles, music, singing and just pure happiness all day are guaranteed. The tour includes spending around an hour in the lagoon with plenty of sea life to keep you in awe. There’s plenty of tropical fish, coral and turtles. The snorkelling is amazing. The crew provide you with a beautiful BBQ lunch of island fare, and the entertainment from the Captains is non-stop from start to finish. Fun and informative. A must do! Even if you’re not a church goer a Polynesian Sunday Service is a moving experience. 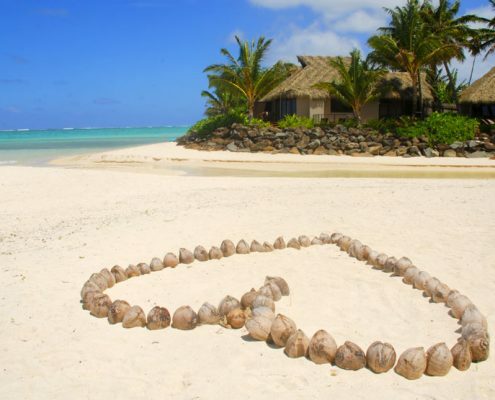 Ethereal sounds of genuine devotion with songs of worship fill the air in Rarotonga’s beautiful white coral and limestone churches. Beautiful hymns and harmonies swirl above the exquisitely decorated hats of local parishioners. Visitors are most welcome to attend Sunday services, observing modest attire of shirts and long trousers for men and longer-length skirts or dresses for women, preferably with covered shoulders. Services start at 10 am, and the Pastor usually invites visitors to enjoy island fruits and light refreshments in the nearby meeting hall afterwards with the congregation. The Cook Islands Christian Church (CICC) is the oldest church in the Cook Islands. 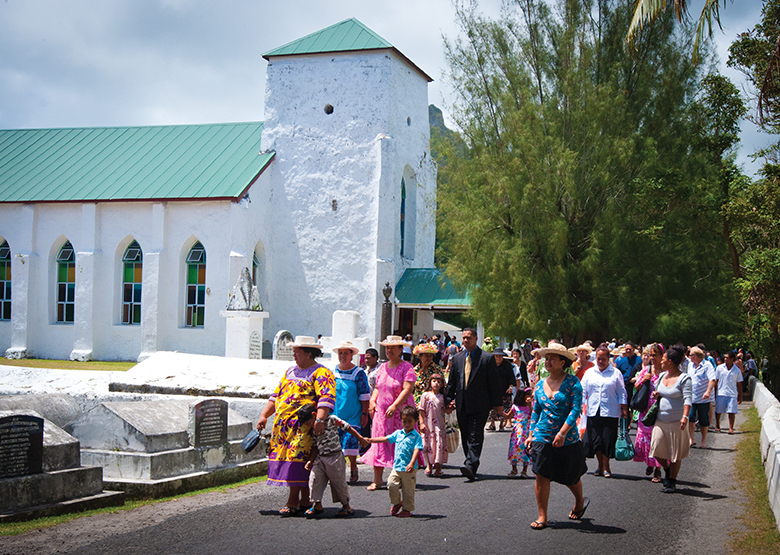 The congregation’s singing combines traditional and choir singing to form a unique blend of Cook Islands hymns. The service may not be entirely in English, but the singing and overall ambience is something unique to experience. A mix of colour, energy, fresh food, fashion and entertainment. When visiting the Cooks, this is a market day we never miss. To avoid the crowds, and to ensure we grab the best choice of fresh fruit and food, we usually leave our resort around 7 am by bus. It is a typical market with some stores not to our taste (overpriced clothes made in China etc.) but plenty of other fantastic market food, local designer label clothing where you can get one off pieces and some beautiful jewellery. Enough reasons to go for a wander through for a few hours. 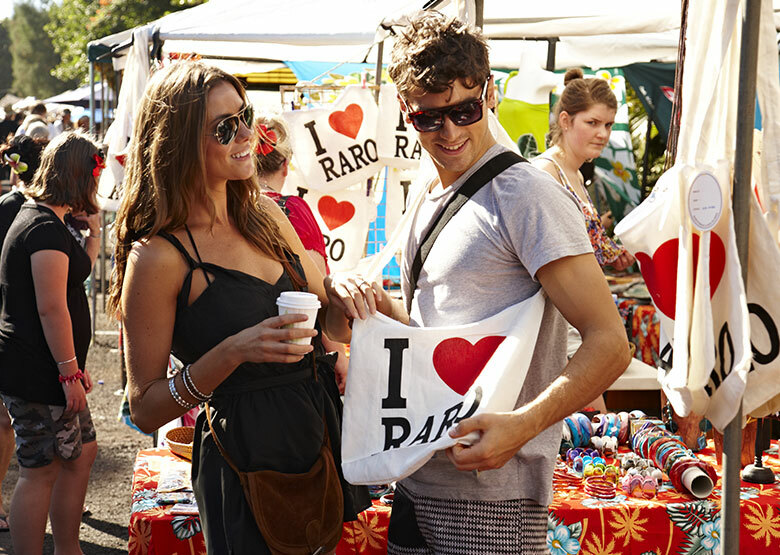 Even if you’re not a market shopper, the atmosphere and food alone are great reasons to go. Lots of singing and local talent performing and entertaining. There’s always laughter and many colourful personalities. You can enjoy this while feasting on some of the locally made food. A note to vegetarians the cooked dishes are a little ‘meat-centric’ with things such as goat meat cooked in coconut cream and dishes made with free-range local chicken. But still exceptional choices of fruit and local bread. Tips? Go early. Take cash. Bring bottled water (gets hot). It’s one of those ‘must do’ tourist attractions when visiting the Cooks. Don’t forget to take cash. Looking to buy black pearls? See Manihiki Pearl Techs. 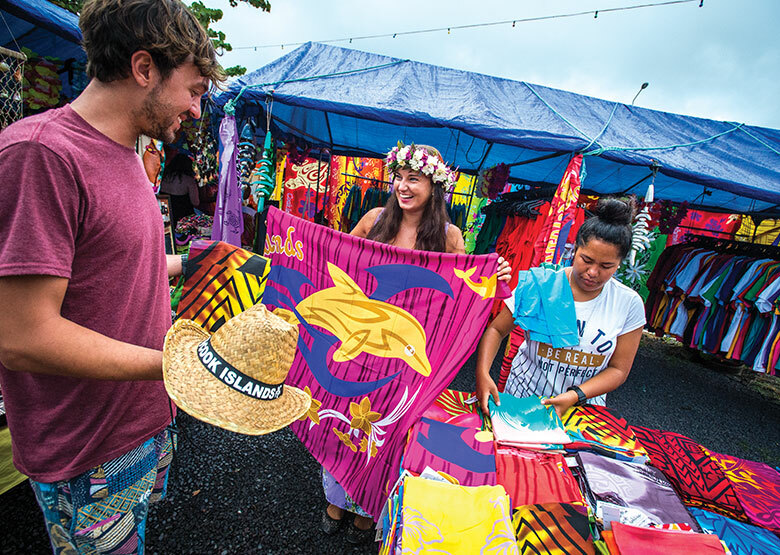 The Cook Islands have some great shopping options and local products, and a unique product of all is the Cook Islands black pearl. 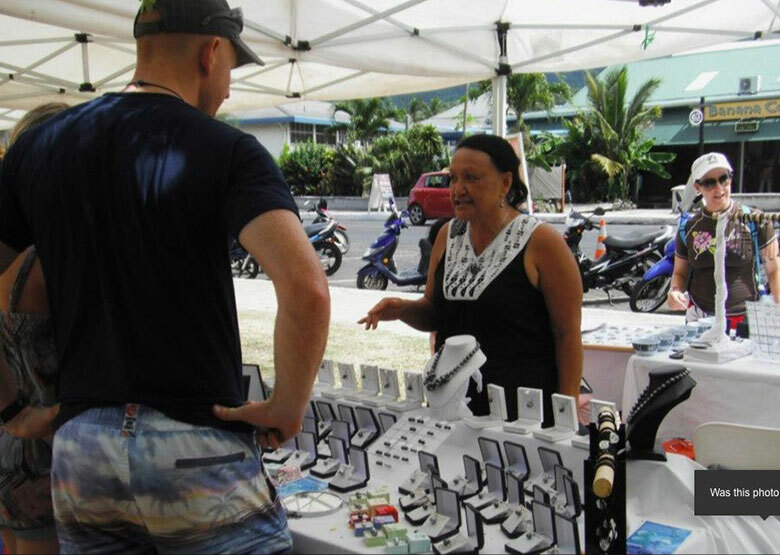 Manihiki in the north exports cultured black pearls to Rarotonga, to be set into high fashion jewellery pieces. As black pearl lovers, when we return to the Cooks, it’s hard not to sneak away and visit Manihiki Pearl Techs. Whether for buying gifts or adding to our growing black pearl jewellery collection this is our go-to place. 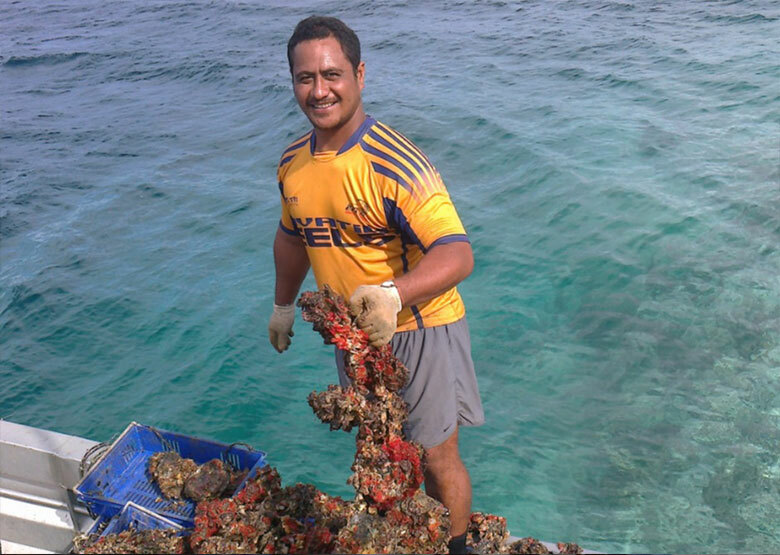 Pearl farmers themselves, this family-owned business sell the authentic Cook Islands black pearl, hand picked to ensure only the best colour and lustre. Along with beautiful set jewellery ready to buy, there’s a decent range of loose pearls to choose. And you can do so with confidence knowing you’re buying from a reputable pearl technician. When choosing a pearl, you need to ensure its authenticity. It must be a genuine Cook Islands Black Pearl, not an expensive import or a cheaper, freshwater variety. All pearl vendors provide the CI Pearl Authority’s free brochure about pearl grading, so you have a handy reference tool to help you. This cultural attraction including a buffet feast is always excellent to revisit any time we return to the Cooks. 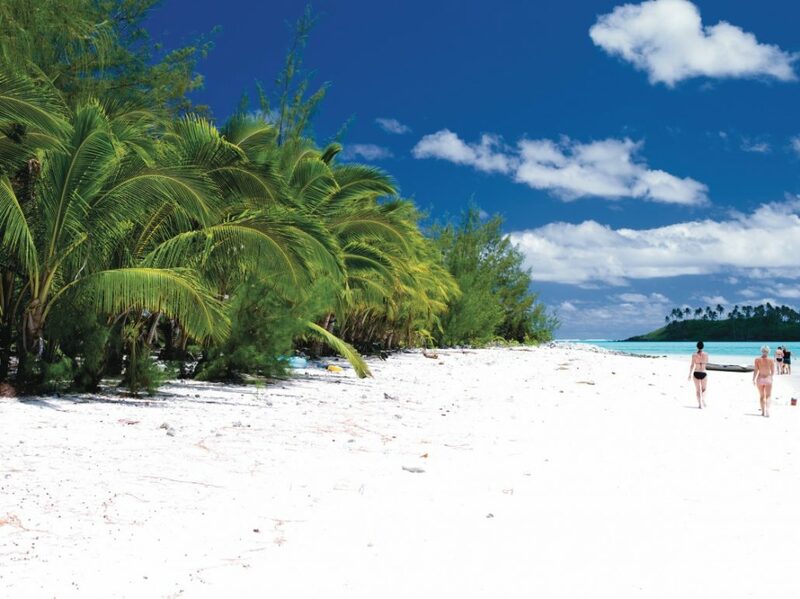 Do early on in your itinerary, so you have a comprehensive introduction to the stories, culture and traditions of the Cook Islands. There are two tourist offerings at Te Vara Nui Village. 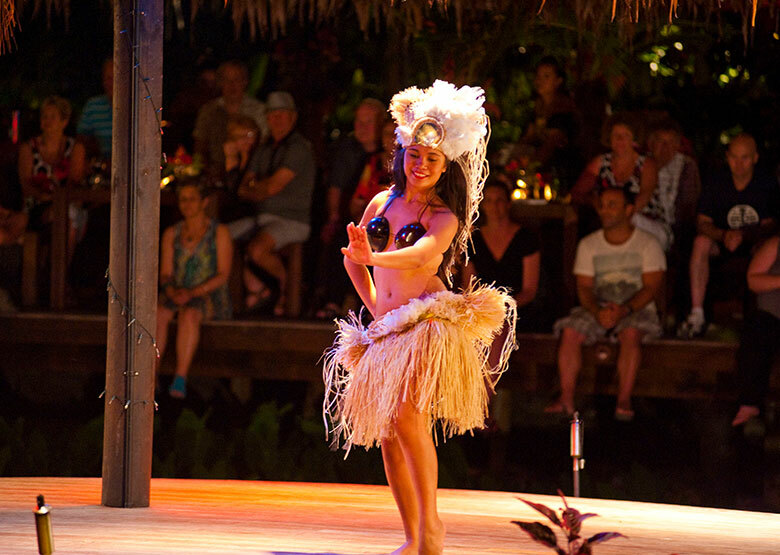 As the official Cultural Centre of the Cook Islands, it offers a village tour and an over-water night show including an island buffet dining experience on floating and fixed stages. There’s lots of energy from the highly professional performers and lots of “wow” from the audience. If it’s your first visit to the Cooks, we suggest you do both the village tour and the night show together. There is a “combo package” you can purchase which is excellent value and includes transport from your accommodation to the venue. The village tour is always fascinating and a way you can immediately immerse yourself in Cooks culture. We love chatting with the local artisans as they carve, weave and make fantastic dance costumes all by hand. Don’t be shy to ask questions about culture and traditions. Many incredible stories can be shared off the cuff when the locals proudly reveal fascinating stories about their heritage. Foodies will love the island/western buffet. Plenty of food and a great introduction to all Cooks Cuisine has to offer. This is a fantastic restaurant with great food and quality service located in Tititkaveka close to Wigmore’s super store. 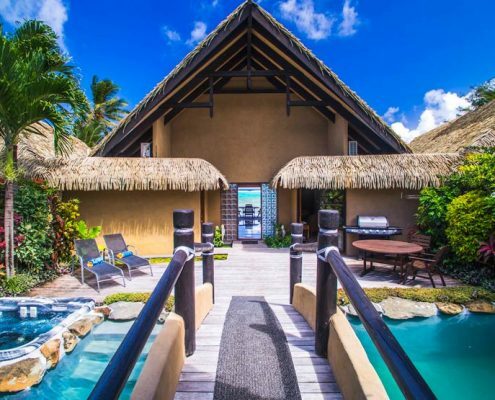 You have the option of dining right on the beach with your toes in the sand overlooking the lagoon watching the amazing sunsets or inside in the sheltered areas. A beautiful setting ideal for couples, big groups, and families. Vaima restaurant has a wide range of delicious entre’s, mains and desserts. Top picks are the salt and pepper squids for entre’s, Pork belly with crackling and chocolate cake with ice cream for dessert! 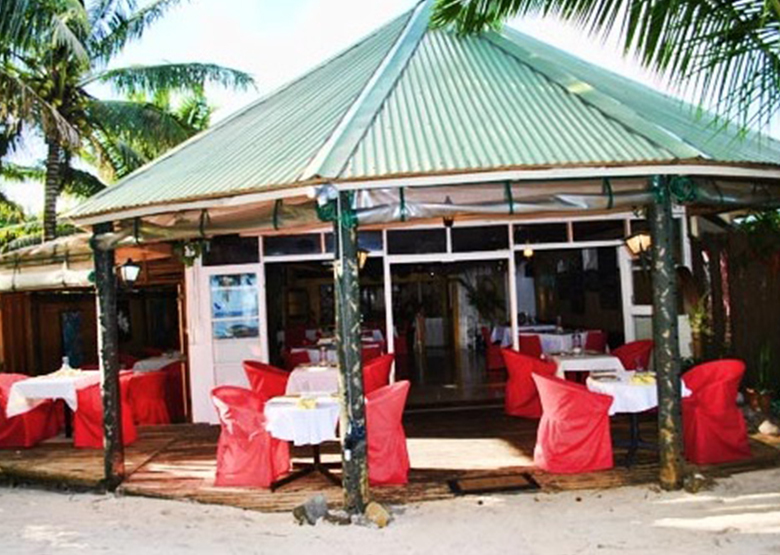 Definitely head to Vaima if you are into your finer restaurants or are in Rarotonga for a special occasion…… (by Tayla Beddoes, Cook Islands Tourism). If you’ve ever driven past Avatiu wharf in the afternoon (or any time of the day really) and noticed TONNES of vehicles parked on the side of the road, and cues of people surrounding a little shop, that’s Palace Takeaways. For anyone that hasn’t been there yet, be sure to order a ‘Wet Cheese’ burger with a side of fries. I know, I know, the name of the burger itself doesn’t sound that appetizing but trust me, it’s probably the most ordered burger on the island that even has people buying them to take on the plane back to wherever they came from. 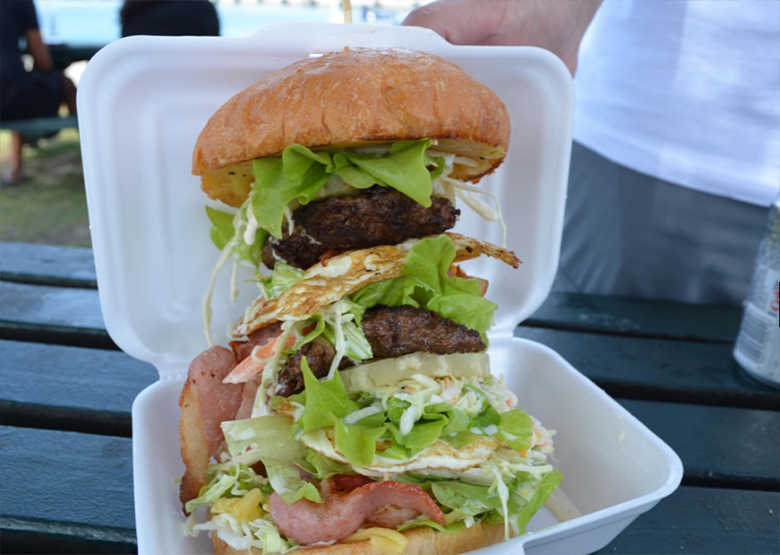 When people go to that extent you know it’s gotta be good.…… (by Tayla Beddoes, Cook Island Tourism). For something totally different, Storytellers are tour guides who lead you on an unique cycling experience in Rarotonga. The Storytellers experience offers a variety of bike riding tours to suit most levels of riding fitness and experience. 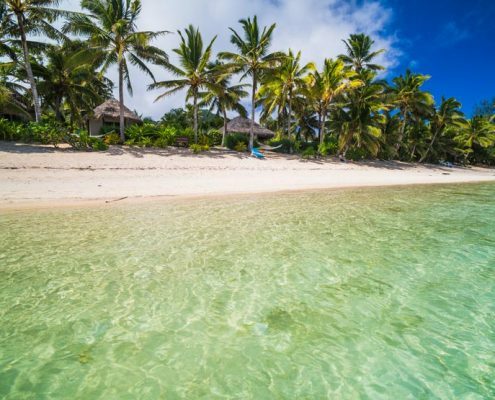 The local Cook Island guides are so passionate as they lead you on a route through lanes and tracks of Rarotonga, highlighting the rich history and heritage of this beautiful island. You will share stories about the cultural aspect of this history including how the connection with the heritage underpins a deeper love and respect of the natural environment inherent within the DNA of the Cook Island people. Music, food, dance, costume, traditional medicine and Cook Island Maori language are intrinsically linked to the cultural roots of the Cook Islanders. Read more about Storytellers here.